My trees are to tall. Can you cut the tops off to make them shorter? This question I hear over and over. Topping trees is described by the International Society of Arborists as the most destructive tree pruning practice in America today. The result is ugly trees that in time are more dangerous than if they had not been cut in the first place. If your worried about your trees we can discuss the right way to reduce the risks associated with your trees. Why is a Maryland Tree Expert License Number Important? The state of Maryland requires everyone that sells, advertises or performs tree work in the state of Maryland be licensed by the Department of Natural Resources. This is your assurance that the person or company your dealing with is licensed and insured. You can check the status of any Tree Expert License or insurance with the on the State of Maryland web site. Where are you located and what area do you service ? The office is located in Laytonsville but we actually operate out of a location in the Kemp Mill section of Silver Spring. We do serve almost all of Montgomery County and close in area of Washington DC. How far we are willing to travel generally depends on how busy we are. Why should my trees be trimmed? It is obvious why dead and dangerous limbs should be removed. 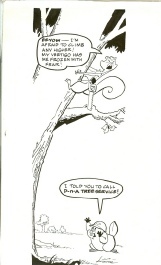 Thinning a tree is not so obvious so Let me explain. The risk of storm damage is greatly reduced as a tree is “opened up” to allow the wind to pass through. With less wind pushing on the tree there is less risk of storm damage. It is like putting holes in a sail. What do you look for when evaluating a tree? - trees that are dying back or showing other signs of trouble. I also will take the opportunity to look at other trees. Many times I find different trees that are in greater need of attention than the tree we were asked to look at. It is all a part of the service we offer. When is the best time to have tree work performed? Although tree work can be done anytime the Winter is the best time to have tree work done for three reasons..
2. In the winter when trees are dormant it is healthier for them to be pruned. 3. There is less of a likelihood to have damage to other trees and vegetation growing near the trees being worked on. 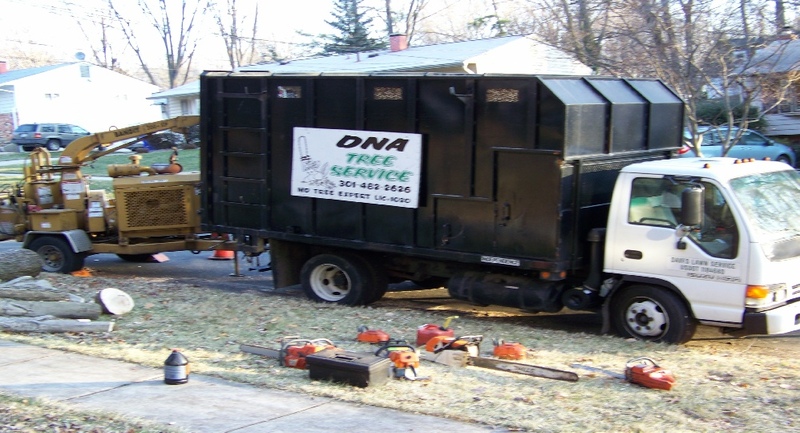 DNA Tree Service is a full service tree company that is listed by Consumer Checkbook and Angie’s List as a top rated company. We have received the Angie’s List Super Service Award every year since 2008. 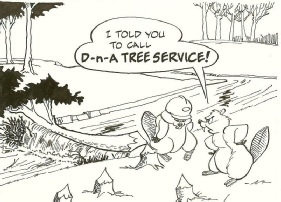 DNA Tree Service is different than most other companies. Having the mind set that tree work is an art, we do what is best for your trees. We will work with you and explain to you what is best for you trees and why. It’s all about the SERVICE. My background includes approximately 6 years working at some of the best hotels in the area, (Grand Hyatt Washington, Hyatt Regency Bethesda and The Ritz Carlton Pentagon City) . 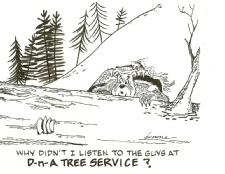 You will see the difference service makes when working with DNA Tree Service! If I am not sure as to what needs to be done or if I think a job is too much for us to handle I will be up front with you and tell you. I will also, when I can, tell you who is the best person to call. Our integrity and your reference are more important to us than a few dollars today. Why should I have a qualified professional look at my trees? Most people have very little knowledge about trees. Yes, It is obvious to spot a dead tree but spotting the live tree that is more prone to falling in the next big storm takes a professional. Often I am able to see hazards that most homeowners are unaware of. 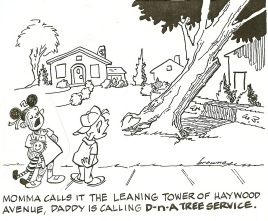 There is no cost to have me look at your trees so why not make the call. Wouldn't you want to know about the health of your trees. Why are we seeing so much more storm damage from trees? Yes, I am seeing storm damage that is greater in intensity and more frequent in the past several years. I believe it is a combination of the age of the trees and an increase in severe weather. In the down county areas the trees are older and more mature and thus are at greater risk of storm damage. These trees are also facing more intense weather. Before June 2012 I had never heard the term derecho. Many blame global warming I would say instead that it is birth pains. 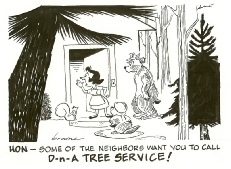 Either way it has never been a better time to give your trees a check up.